Belém Tower, or the Tower of St Vincent is a fortified tower located in the civil parish of Santa Maria de Belém in the municipality of Lisbon, Portugal. It is a UNESCO World Heritage Site (along with the nearby Jerónimos Monastery) because of the significant role it played in the Portuguese maritime discoveries of the era of the Age of Discoveries. 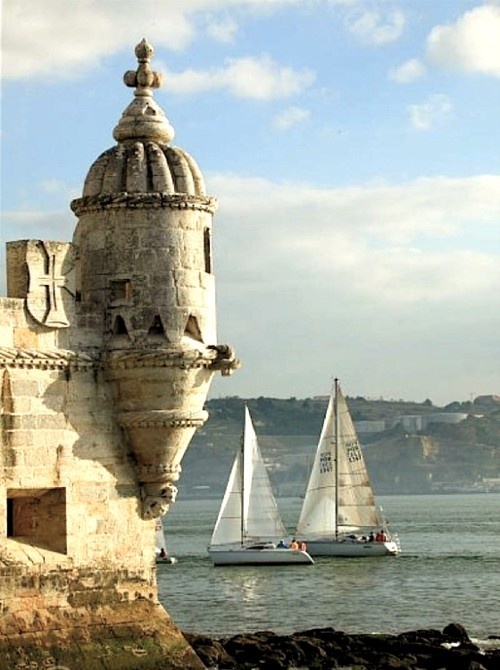 The tower was commissioned by King John II to be part of a defense system at the mouth of the Tagus River and a ceremonial gateway to Lisbon.